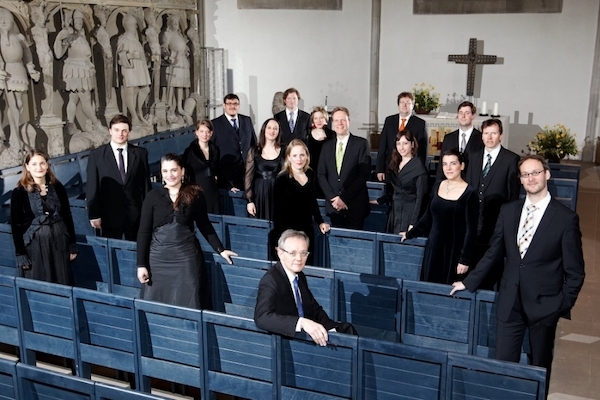 The solistenensemble stimmkunst, founded in 2003 for the widely-acclaimed concert cycle “Bach:vokal” at the Stiftskirche Stuttgart, presents vocal music composed by Kay Johannsen. 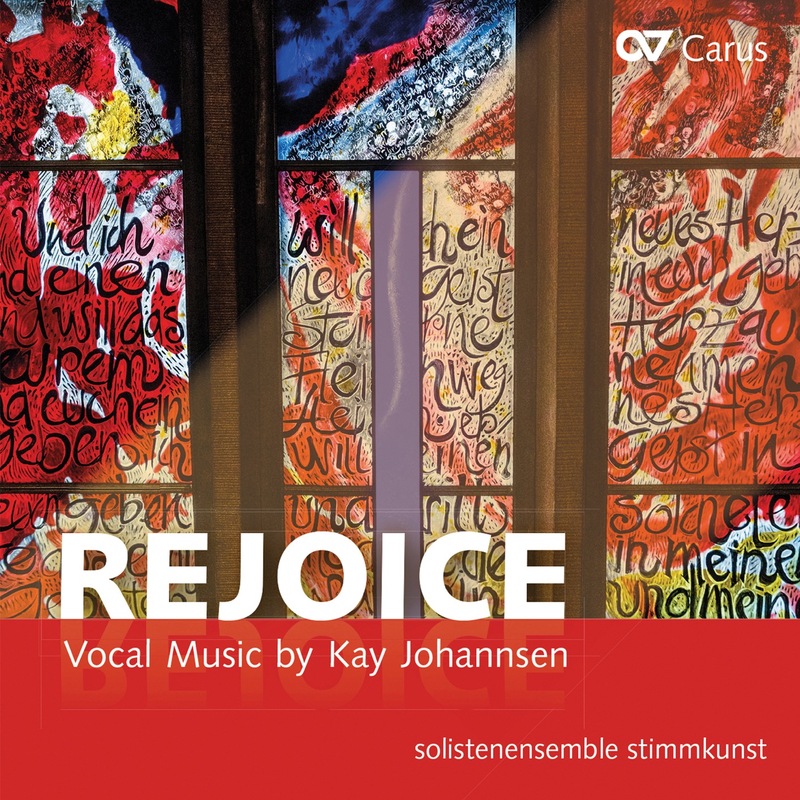 Johannsen – Kantor of the Stiftskirche, an organist with a busy international career, passionate improviser, enquiring choral and orchestral conductor, and composer with a fine feeling for sound and rhythm – wrote the pieces between 2001 and 2018. The varied program includes compositions for different unaccompanied choral scorings, plus works for solo, choir and instrumental accompaniment. was founded by Kay Johannsen in 2003 for a highly regarded concert cycle of Bach’s cantatas. The ensemble sings mostly in the formation of 12 professional singers who take on both solo as well as choral roles. The emphasis of their work currently lies in the area of early music. They have already recorded a CD entitled Göttlichs Kind for Carus containing Advent and Christmas cantatas by Georg Philipp Telemann (Carus 83.180). A number of concerts performed in the Stiftskirche and at the Europäisches Musikfest Stuttgart with works by Charpentier, Monteverdi, Bach, Brahms and Reger were recorded by the Southwest German Radio. musical activities center on the Stiftskirche Stuttgart, where he is Kantor and music director. Here he conducts the Stuttgarter Kantorei, the solistensensemble stimmkunst, the Stiftsphilharmonie Stuttgart and as artistic director of the Stiftsmusik Stuttgart series, he is also responsible for the weekly sacred music concert series “Stunde der Kirchenmusik,” which is attended by 20,000 people annually. Kay Johannsen has recorded numerous CDs with works by Bach, Boëly, Mendelssohn, Brahms, Liszt, Franck, Reger, Widor, Vierne and Förtig, as well as his own improvisations. For his Bach recordings he has received awards, including the “Diapason d’or,” and the “Goldener Bobby” from the Verband deutscher Tonmeister. As a harpsichordist and performer of chamber music he has cultivated other genres of Bach’s music, ranging from the Goldberg Variations via the Musical offering to the Brandenburg Concertos. Starting from an in-depth analysis of early music, in addition to performing Bach and improvisations, Kay Johannsen also plays especially the works of the German and French Romantic era. As an organist in worldwide demand, Kay Johannsen performs at festivals in Europe, Asia, South America, South Africa and the USA. He also plays with many well-known orchestras and ensembles as a soloist and accompanist. He is a passionate improviser on the organ, and at present his harmonic style is reminiscent of Tournemire, Alain and Duruflé; formally his style is multifaceted and it shows the rhythmic influences jazz. Kay Johannsen won the Deutscher Musikwettbewerb as an organist and, with his Stuttgarter Kantorei, the Deutscher Chorwettbewerb in 2006. In addition to performing as organist or conducting, his own creative work is also important to him. In the past years he has written a number of compositions for various types of ensemble which have also been broadcast via radio and television.